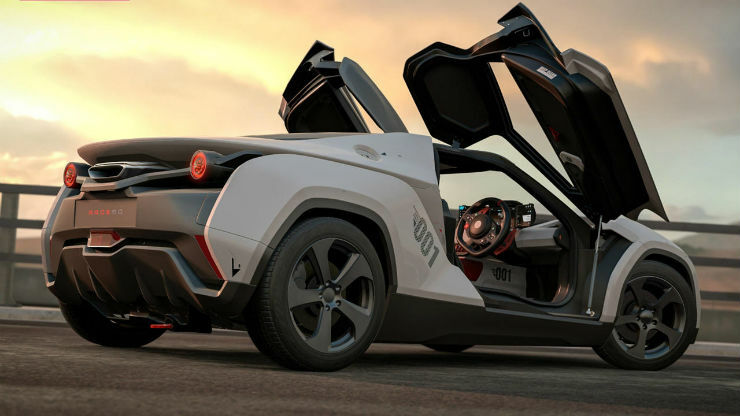 Earlier this year, Tata showcased the RaceMo sports car, the first car that was to be produced under the TaMo brand. Tata came up with that brand to make cars that were low volumes and hence it could be made more quickly. Last month, we broke the news that Tata Motors had decided to pull the plug on the RaceMo. The main reason behind that was that they wanted to concentrate on their commercial vehicle (CV) business. The investment cost required for the RaceMo was 2500 crores, something the company didn’t want to spend on this project. TaMo is one of the nice-to-have projects. We have reached a stage where we can easily launch it but at this time we have put it in the fridge. Whenever time, priorities and money allows, we are going to bring it back. The RaceMo was to be Tata’s first sports car on sale in India. It was to be powered by a 1.2 liter turbo petrol engine making 186 Bhp and 260 Nm. It as to have an AMT. It was to be built on a new MMS structure (Multi Material Sandwich) and was to be a kit car like the Caterhams. This meant that dealers could assemble the vehicle and supply them to customers. It was to be mid-engined, making it Tata’s first mid-engined vehicle. Other key features included a tie-up with Microsoft, to make the vehicle a connected car. The vehicle was to be the first one to be powered by cloud computing, analytics, geo-spatial and mapping. This would increase the human and machine interaction. Tata was to collaborate with the VW group for the usage of their newly developed AMP, which would have helped Tata gets the numbers for keeping the new platform cost effective. However, the talks didn’t go through.